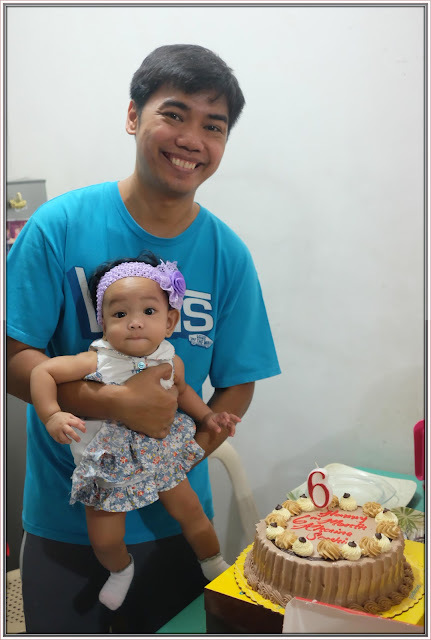 Last February 20, our dear Rhaine Sophia turned 6 months. Wohoo.. The past few months have literally flown by! Until now I can’t believe that you are half a year old. I am amazed at how much you’ve grown and how we can’t even remember what life was like before you made us a family of four. Rhaine, you do something new everyday. 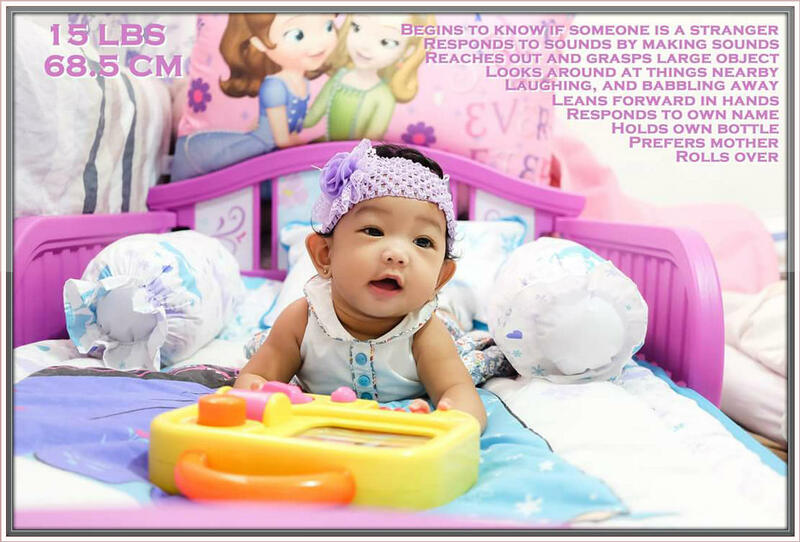 You spent long stretches sitting on your play gym with your toys, you are really obsessed with my cellphone na halos sinusubo mo ng buo. My gosh ikaw talaga anak! Don’t worry, pag Malaki ka na, I will buy your own cellphone. You already recognize your name when we call it and you just gave your sweetest smile. I love the way you laugh, the way you smile and that cute little thing you do when you get excited! 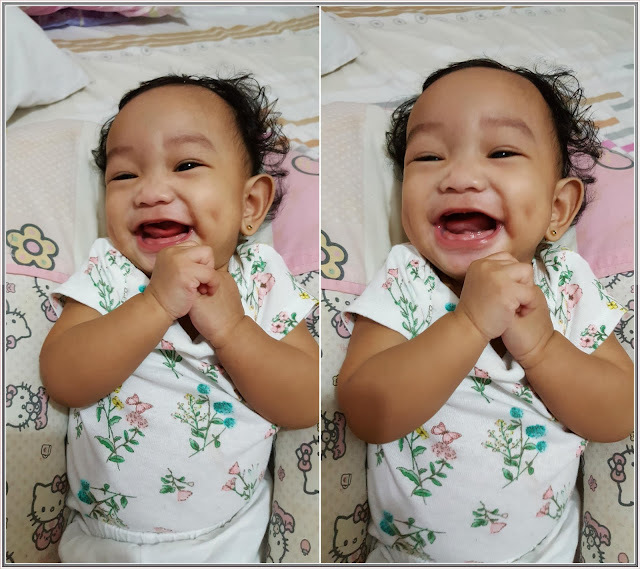 I love how you play with your ate and how you make kulit with her, I love watching you sleeping and I love the way you hug me every night. There are so many things you are doing now anak, and we are so proud of you. We think you are teething, kasi halos lahat sinusubo mo and pinag lalaruan mo laway mo. Sometimes, you wake up in the middle of the night and all you want to do is to scream and play with me. 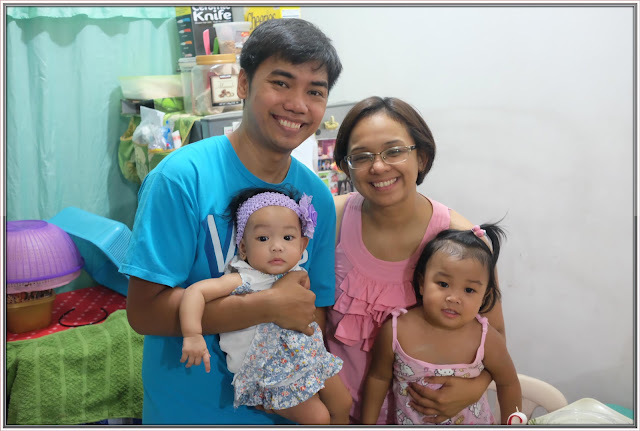 But darling, Mommy and Daddy are tired, but we promise to go home early para mas mahaba ang play time natin ha. You have not started eating solid foods kasi you got sick when right after your 6th month and I decided to delay it but I promise that you are going to taste the real food. You are still in size 3-6 months clothes and they are starting to fit you nicely. Don’t bother other people in comparing you and your ate, kasi magkaiba naman talaga kayo. Just listen only to me and to your dad okay darling. 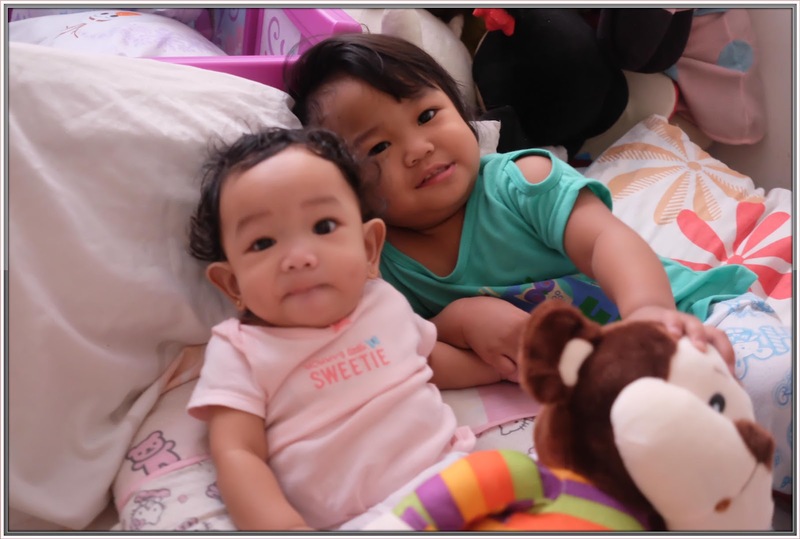 I love watching you grow day by day and seeing you grow into a little lady or should I say my 2nd toddler. Your curly hair is growing much more now and that’s so cute! I can’t wait until it’s longer to play with it and brush it for you. 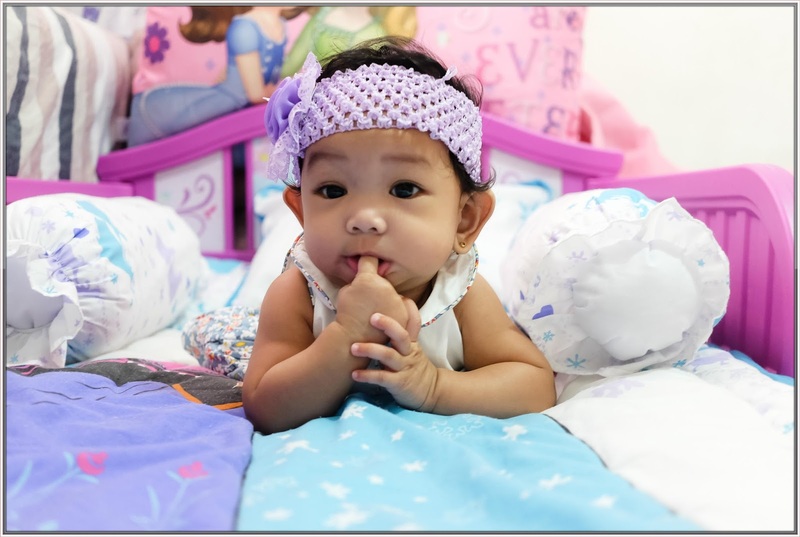 Bibili si Mommy ng maraming headband and ipit para maayusan ko kayo ni Ate ChingChing. 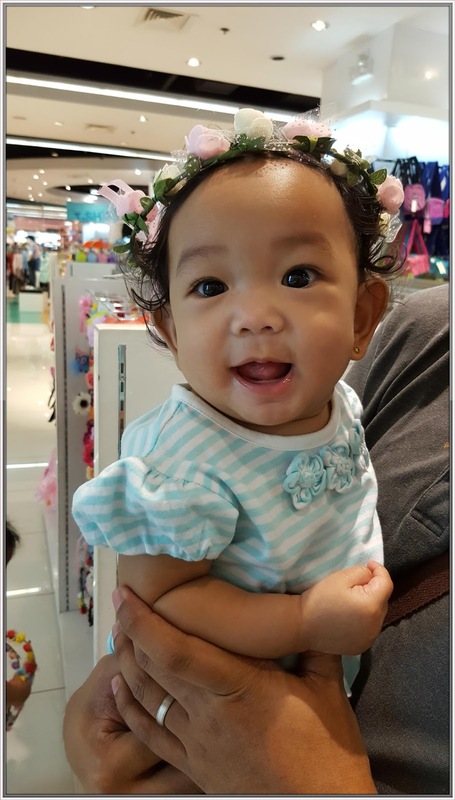 There is something just so special about you Rhaine: Your Joy. Everyone notices it. 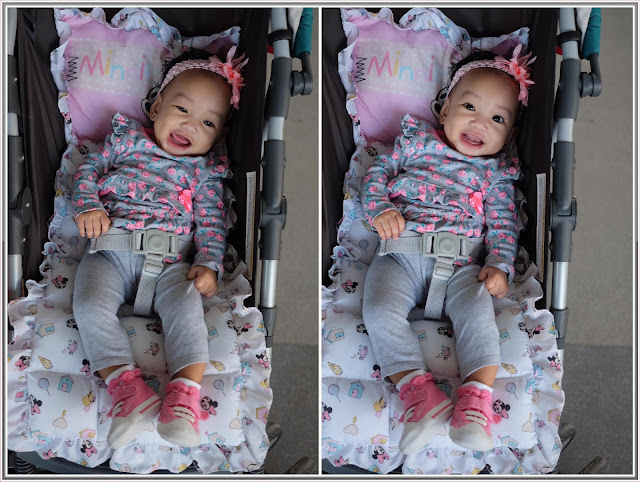 Everyone knows that you are Rhaine the Happy Baby, you smile all the time, I love the big smile you give as soon as you wake up, Your Dad also loves the smile you give him when he get’s in from work and believe me, we are so proud of you for that. 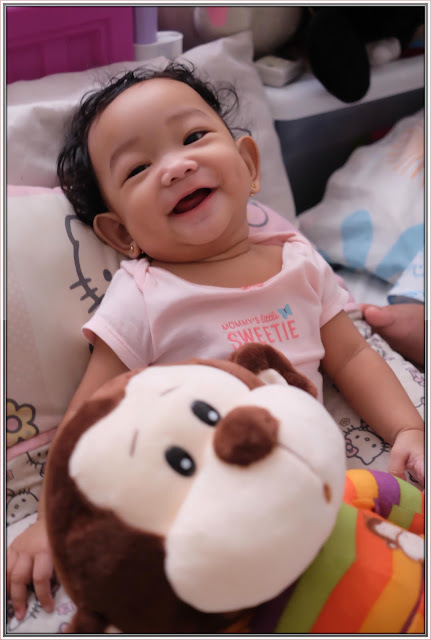 Keep that smile anak! 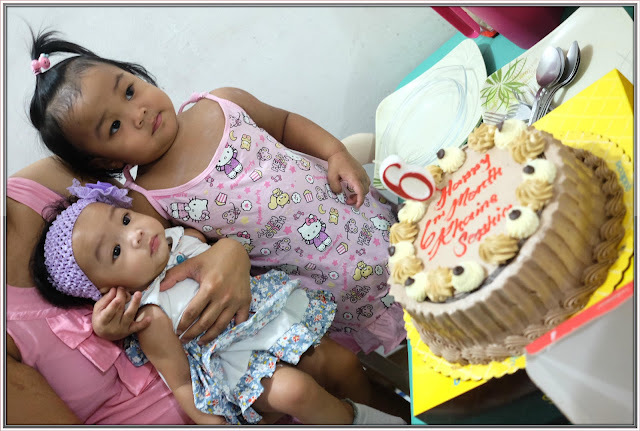 Like your ate, we always celebrate every 20th of the month. I always cook for the dinner or sometimes your lola will order for us. Pero ang hindi pwedeng mawala is your monthly cake and yung paagawan ng coins from your lolo and lola. We will do this routine until you reach your 1st birthday. Sweetie, my heart has so much love to give. 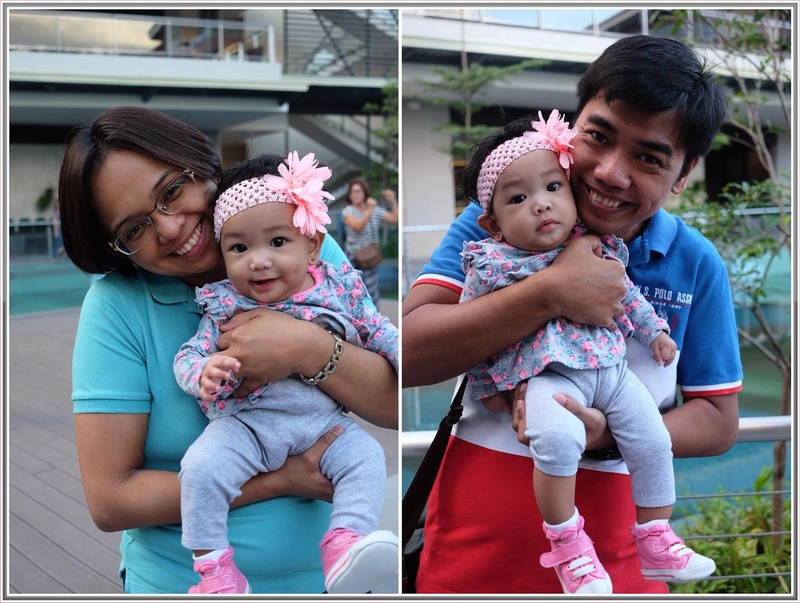 I love you, I love your Ate, I love you Daddy and I love our little family. 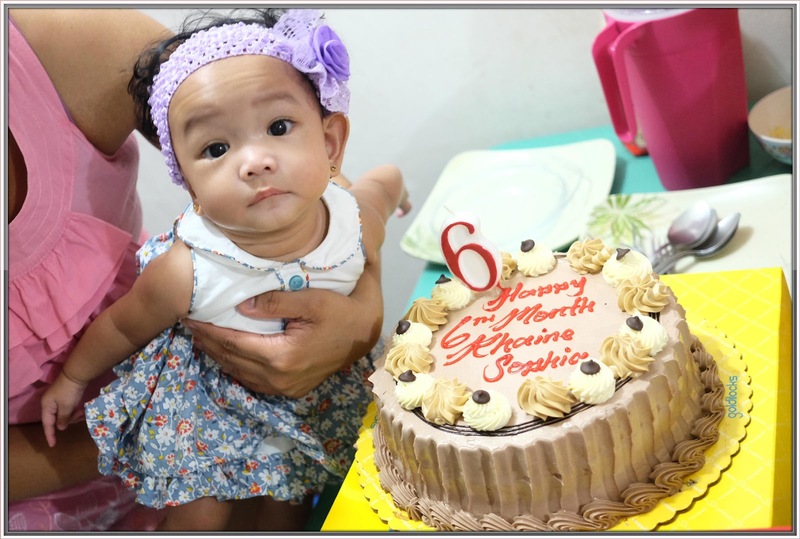 Thank you Rhaine for being the wonderful, incredible you that you are. We love you so much!